Click the button below to add the 2012 Lightweight Standard III Eclipse Tubular Wheelset to your wish list. 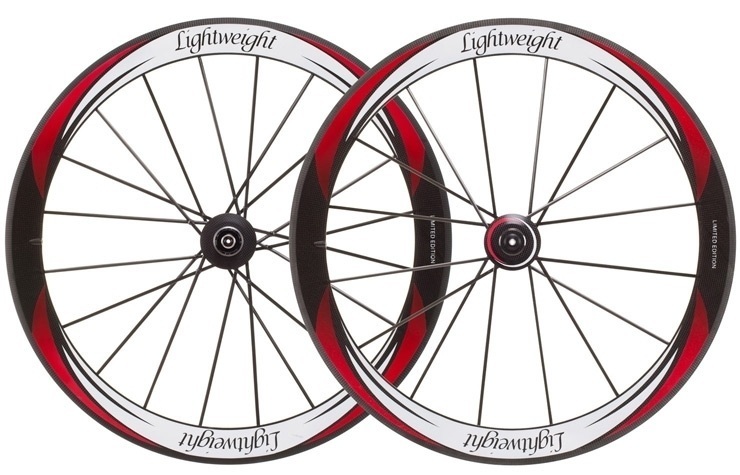 Lightweight Eclipse III's are equivalent to the exceptional Lightweight Standard III wheels in weight and performance. Built in limited quanitites of 10 and exclusively available through R&A Cycles, the Lightweight Eclipse are surely a unique and one of a kind wheel right out of the Lightweight factory.